In this interview, Jerry Melnick, COO, SIOS Technology discusses the difference between SAN-based and Cloud data storage clusters, and the benefits and drawbacks of each approach. SAN-based clusters have been the traditional way to protect critical applications and data. Is this still the case? Traditional clusters based on shared storage (typically SAN) are no longer the de facto choice for providing high availability and disaster protection for business critical applications. Companies are finding new ways to combine physical, virtual, and cloud environments into new configurations to control costs and stay agile in today’s demanding marketplace. In these environments, traditional SAN-based clusters have significant drawbacks. SAN storage can be costly to buy and require specialized skills to manage. They also introduce the risks of a single point of failure. In addition, shared storage is not typically offered in public cloud environments. In these environments, SANLess clusters that provide the same level of protection without requiring shared storage are often a better option. Can you create a cluster in the cloud? Yes, in a Windows environment, you can use native Windows Server Failover Clustering to create a cluster in a cloud by simply adding SANLess clustering software. You can locate cluster nodes in geographically separated instances in public cloud environments for disaster protection. The software synchronizes local storage on source and target nodes in the cloud, making them appear to the WSFC as shared storage. If a failure occurs, WSFC moves the application operation to the remote node in the same way it does in a traditional shared storage cluster. What technologies are available to reduce the financial burden of SAN administration and deliver the flexibility data centers need today? SANLess clusters reduce the financial burden of traditional shared storage clusters in severael ways. They eliminate the significant hardware cost of SAN storage. They eliminate the labor cost of specialized SAN administration. \ SANLess clusters also support local SSD storage, enabling high performance and high availability for a fraction of the cost of a SAN-based cluster. How can a SANLess cluster make providing disaster protection easier? A SANLess cluster solution lets you implement disaster protection without the need for identical SAN hardware in both your primary and disaster recovery locations. You can replicate between any two environments physical, virtual, or cloud for disaster protection. For example, you can maintain a SAN or SANLess cluster at your primary data center and add a node in a public cloud for disaster recovery. This configuration not only saves the cost of SAN storage, but also the cost of building out a remote data center. You can create SANLess clusters in a public cloud with nodes in separate geographic zones or even in two different public cloud provider environments, such as Amazon EC2 and Microsoft Azure for protection from local, regional, and even provider-wide outages. Do traditional high availability clusters have an impact on application performance? Because SAN-based clusters are typically optimized for capacity rather than performance, SANs can slow performance of highly transactional applications, such as SQL Server and Oracle databases. SAN performance can lag behind new, faster server CPUs, causing idle server time, slower application response times, and a potentially costly loss of productivity. Because SANLess environments access disk installed locally, there is no latency and no loss of performance in servers with even the fastest CPUs. As noted above, you can also use SANLess clusters with cost-efficient local high performance SSD storage. Can you use a SANLess cluster in a virtual server environment? Yes you can. In fact, SANLess clusters eliminate the limitations imposed when you use traditional shared storage based technology for clustering VM’s in a virtual environment. When using traditional shared storage clustering in virtual server environments, you need to use using Raw Disk Mapping (RDM) or Pass-through disks. This is a complex storage setup that limits desirable virtual machine functionality and mobility such as VMotion/Live Migration. In contrast, SANLess clustering supports all of the flexibility and agility offered in the virtual environment. It does this by allowing you to use virtual disks native to the hypervisor such as VMDK’s or VHDs thereby eliminating the need for RDM or Pass-through configurations. What if I already have a SAN? If you have already made the investment in SAN storage, you can continue to use it and protect your business critical applications with a SAN-based cluster. However, you may want to extend the cluster up into a cloud environment as a simple, cost-efficient way to protect your business critical applications from disasters without the need for a remote data center or disaster recovery site. Replicating from a cluster node connected to a SAN to another cluster node in the cloud can allow you to configure a multi-site WSFC failover between both environments with nodes in more than one geographic location for protection against local, regional and national disasters. What is SIOS SAN and SANLess clustering software? SIOS SAN and #SANLess clustering software provides the flexibility to build clusters your way to protect your choice of Windows or Linux environment and in any configuration (or combination) of physical, virtual and cloud (public, private, and hybrid) without sacrificing performance or availability. SIOS’ unique #SANLess clustering allow you to configure clusters with local storage, eliminating both the cost and the single-point-of-failure risk of traditional shared-SAN storage. 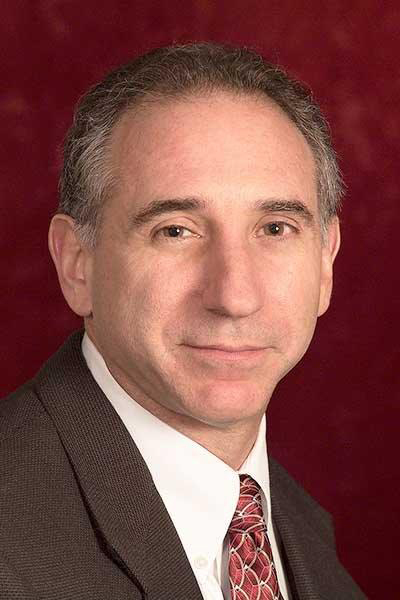 Jerry Melnick is responsible for defining corporate strategy and operations at SIOS Technology Corp. (http://www.us.sios.com), maker of SIOS SAN and #SANLess cluster software. He more than 25 years of experience in the enterprise and high availability software industries. He holds a Bachelor of Science degree from Beloit College with graduate work in Computer Engineering and Computer Science at Boston University. Enterprises are moving more and more applications to the cloud. Gartner predicts that the bulk of new IT spending by 2016 will be for cloud computing platforms and applications and that nearly half of large enterprises will have cloud deployments by the end of 2017. For many organizations, moving applications that can tolerate brief periods of downtime to the cloud is a straightforward decision with clear benefits. However, concerns about how to provide high availability and disaster protection in the cloud may make this decision more difficult for business-critical applications such as SQL, SAP, and Exchange. Understanding the facts about HA and DR in the cloud can help you make informed decisions about moving applications to the cloud, while ensuring the important business operations that depend on them are protected from downtime and data loss. Continue reading The Facts About Cloud High Availability and Disaster Recovery. The 2014 Red Hat Summit is meant for anyone looking to exponentially increase their understanding of open source technology and identify powerful solutions for their business needs. From community enthusiasts and system administrators to enterprise architects and CxOs, we have sessions and tracks for each level of interest and need. I need to get clustering setup when using EC2 to host my SQL Server databases. How can I do this? If you use native functionality, you can’t because Amazon’s EC2 service doesn’t offer a way to present the same disks to multiple virtual servers at the same time. Amazon Web Services (AWS) and SIOS Technology Corp, an AWS Partner Network (APN) Technology Partner, invite you to attend this live webinar to learn how to optimize mission critical SQL Server deployments on Amazon EC2. Learn how to take advantage of the cost benefits and flexibility of Amazon EC2 while maintaining protection with native Microsoft Windows Server Failover Clustering – all without shared storage.